Be the first to sell the next BIG thing in marketing to local businesses. 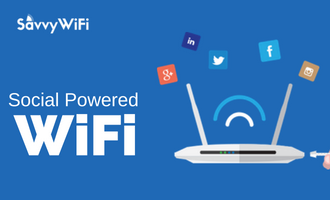 Social WiFi turns local business's free WiFi hotspots into powerful marketing tools. 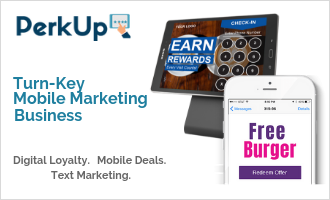 Turn-key all-in-one mobile marketing business; Digital Loyalty Kiosks, Mobile Deals and Text Marketing. Make money selling the most complete mobile marketing solution. Launch the first rewards app in your area with NFC technology (same as Apple Pay). Consumers mange all their rewards programs on one app. MobileDisruptor's mission is to provide the most innovative mobile marketing opportunities for anyone that wants to start a business. with no experience needed, our turn-key programs make it possible for anyone to be successful. We have helped thousands of people start their own mobile marketing business. Our technology is unmatched in the industry and the most user-friendly anywhere. Mobile Disruptors was founded by Jeremy Tyler, one of the most successful mobile marketing and reseller software creators ever. 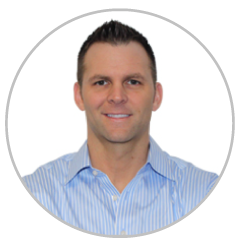 Over the past 10 years, Jeremy has helped thousands of entrepreneurs become successful mobile marketing business owners that enjoy recurring revenue using his marketing software systems. Mobile Disruptors expanding reseller suite includes SavvyWiFi, PerkUp & TapPerks. ©2018 PerkUp. All rights reserved.